Due to the nature of life being mostly online, most of you out there will never meet me in person. And therefore remain unaware that on my left arm I have some magnificent hebrew words permanently inked into me. For those of you that don't know, Hebrew is read right to left, opposite from how we would read a book. I may have only one tattoo but it is one that generates alot of conversation especially among Jewish people. In Argentina there is a huge community of Argentines of Jewish descent and I would have people come up to me on the street and say "OMG, you have a hebrew tattoo." They would then identify themselves as Jewish. At times out in public I'd have people glance at my tattoo and read out the words. The moment that they do that I know for a fact they are Jewish. Once while I was using the hotspring at the hotel at Colca Canyon a family happened to be using it the same time as me and they began staring hard at my tattoo and buzzing about it. 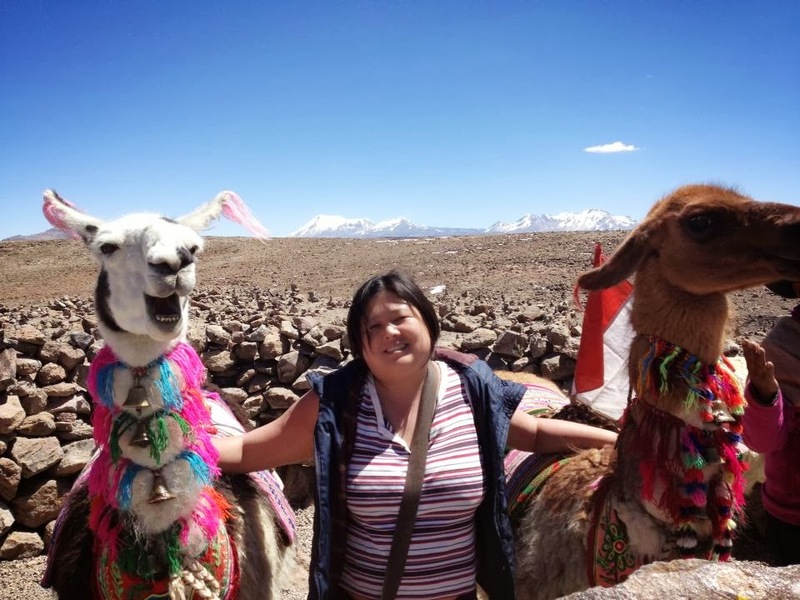 Eventually I found out that they are from Israel and were in Peru for a vacation. We got talking and they were very impressed by my knowledge of the Jewish culture, customs, traditions, and festivities. 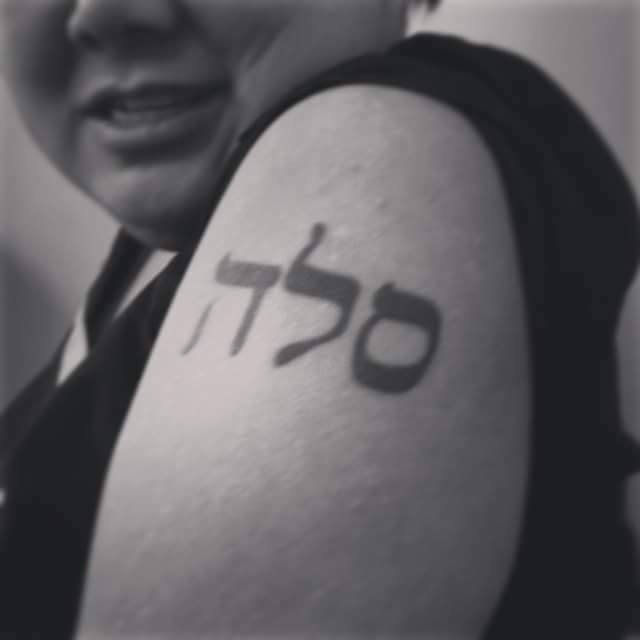 You don't need to be able to read hebrew in order to know what my tattoo says because I included it in the title of the blogpost......SELAH. OK, so reading is one thing but what does it mean? This word isn't used in modern day hebrew in daily life or conversations so to understand it we have to go to ancient hebrew. Scolars have come to the conclusion that they believe selah (pronunced see-lah) to mean "pause and wait"
In the bible in the psalms you'll often encounter this word in the middle of a psalm, the word SELAH. It was inserted in the middle of the song to instruct people to pause for a moment before going on with the next part of the song or literary reading. Just pause for a moment and reflect for a moment on what you've just read and then move on . People who know me well know that I love this word. I even had it for a license plate for my car at one point. Then a couple from the church I was at that time saw my license plate and were so inspired they included "selah" in the name of their firstborn baby girl. I believe that taking a "selah" moment is one of the key to maintaining healthy relationships. In my life I have friends from many different walks of life, different time zones, and have different languages. We also all have conflicting schedules. But somehow I've managed to maintain a rich relationship with my loved ones no matter what language they speak or what time zone they live in. How? In one word.....SELAH. Me and my loved ones are not in their teens and 20's with unlimited amt of time to have libations and giggle with each other. But we continue to nourish our relationships through "selah" moments. The truth is that we do have time, sometimes it may be just 2-3 mins. But we'll take a pause and have a laugh, share a thought and then be on our way. And then maybe we'll do the same thing the next day or a few days after. And in this way after sharing little moments together that are short but frequent, it slowly adds up to a relationship. In fact, I've actually seen acquaintances turn into rich meaningful relationships just from having multiple "selah" moments. Selah...we pause and take a moment to enjoy one another. It may only be a short pause but in that moment we are fully engaged and enjoying and drinking in each others company. It is no coincidence that I've timed this post at the busiest season of the year. In fact, it is the season that is supposed to celebrate "selah" moments with loved ones but ironically is the season that has more opportunity than any other for "selah" moments to get lost here at Christmas time. Can I share with you a big secret? As someone who fluently speaks a 2nd language I actually find that I have to take extra care in my relationships with people who speak the same language as me, english. That may sound abit strange but it's not. Let me explain. When you share the same language as someone it's easy to hear them but not really be engaged and listening because you are on the assumption that just because you understand english means you are understanding them. With my friends that speak spanish I often need to pause and clarify what just got said to me but that forces me to really take in what they are saying. Amongst relationships with my english speaking friends I want to always make sure that not only do we speak the same language but we are on the same page. I feel blessed to have discovered that one of the best solutions to having rich fulfulling relationships lies in one ancient hebrew word..........SELAH.